For 3 kayaks or SUP, or combination of. Double sided with top center cradle. New to the our freestanding storage system is the TF-507. 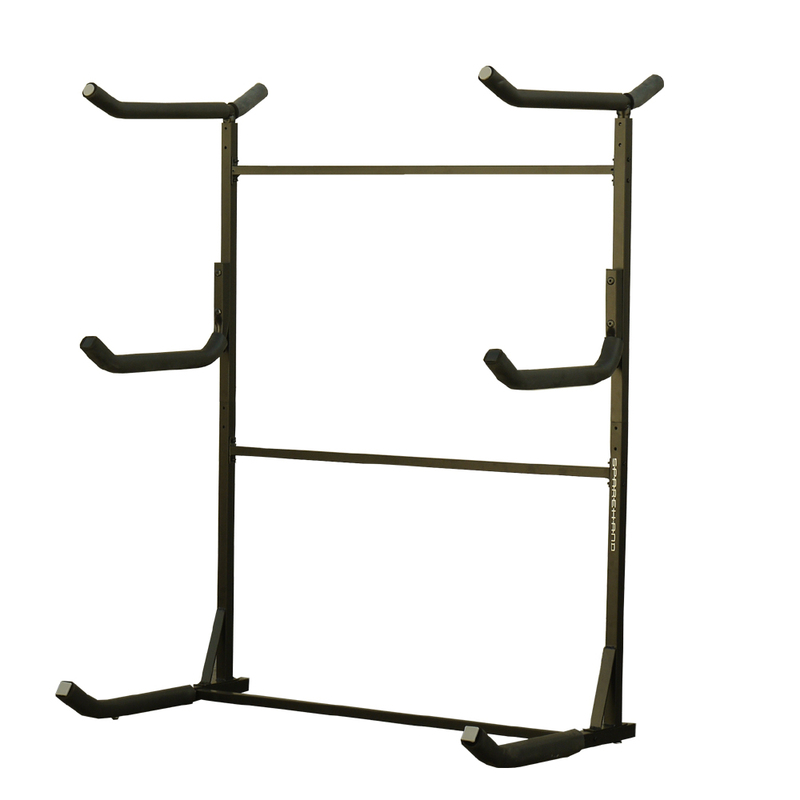 Sparehand TF-507 is a double sided freestanding rack with a center top cradle for storing 3 kayaks, SUP, or combination of. Sparehand “TF” system do not require any tools for assembly, and this cuts down assemble time drastically.